Whimsical, playful and colourful. Discover graphic prints, geometrics, illustrations and murals. Enter the world of Smalltalk and explore jungles, climb trees and count stars. 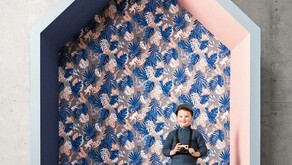 Colours range from blush pink, soft grey and navy blue to vibrant turquoise and teal. 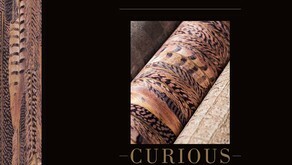 Inspired by berber weaves and rugs, tuareg jewellery and pottery, vintage linens, moroccan tiles and ornamental damask. Colours are subtle, soft and aged: clay pink, olive, earthy brown, dusky blue and soft greys. Chacran has it's roots in nature. Peacock prints sit alongside florals, bugs and butterflies. Vintage weaves and woven bamboos add to the natural theme. Colours range from soft sand, pebble grey to burnished silver and copper and tiny bursts of moss green, lapis lazuli and burnt umber complete the collection. 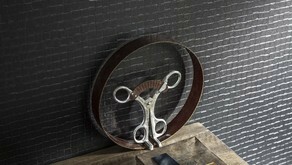 Created by Christian Fischbacher, the collection is inspired by luxury fabrics, silks and tapestries. Birds and flowers sit alongside sumptuous silks, floral damasks and trellis effects. Colours range from gold and cream, deep charcoal and soft grey, through to dramatic purple, orange, jewel green, mustard and navy. Crocodile textures and leather effects set the scene, with cowhide tile textures, dimensional damasks, feather prints and more. Here's a range of versatile neutral shades in soft grey, sand and black, with accents in teal, rose pink and deep dark brown. Geometric are fused with nature. Here you'll find bamboo, palm leaves, birds, insects and more - combined with grasscloths, honeycomb prints, tiled textures and simple weaves. Dusky pink, leaf green, charcoal and indigo mix with an abundance of soft grey and beige neutrals. Here's a blend of urban surfaces and handcrafted textiles. Peeling paint mixes with oxidised metal effects, kilim rugs and encaustic tiles, corks, bamboo and wood. Soft whites mix with faded pink and blue. Pebble greys, darkest copper and rust tones complete the collection. Soft, dreamy interiors can be created with our Glassy collection. There's a sense of fragility and delicacy with these designs. 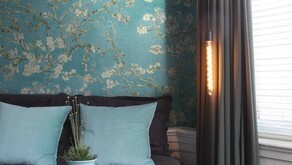 Floral prints are created with watercolours; shadowy leaf patterns are picked out in soft pastel tones. Painterly streaks are subtle yet add a dramatic touch. Memories of distant places and soft sunwashed colours are the inspiration behind our collection Indian Summers. 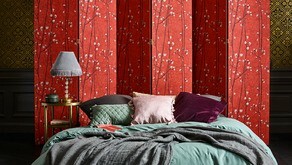 With Asian and oriental influences, surfaces are soft and worn; handblock florals and paisley prints abound. Shades of coral combine with dusky green and grey. Hints of metal flicker in the light. 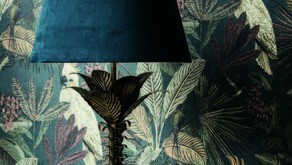 46 sumptuous linen effects, and 8 stunning shadow print murals. Colours are smoky and subtle - from dusky pinks, copper blush and soft teal greens through to slate greys and charcoal black. Monochrome prints inspired by Bauhaus, mid-century and minimalist design sit alongside Arts & Crafts nature-inspired prints. Dramatic layers of colour, 3-D inlaid wood and waffle textures in black, white and cream. Sharp yellow accents and shades of deep purple add drama. Nature makes it's way into our Loft collection in the shape of stylised branch prints, and dusky fern effects are picked out in terracottas and umber. Wood, bamboo, stone, grass and skin - every natural surface in shades of earthy brown, slate, soft cream, grey, copper and black. Here's a blend of smooth and raw textures mixed with simple geometric prints. If it's wood, brick, stone you're after, look no further. More than Elements is full of natural textures. Imagine combining plains and patterns too : concrete embellished with lace, or wood etched with damask swirls. Neutral colours abound, and we've added glints of mica for extra depth and drama. Enter the world of Marcel Wanders. An abundance of design ideas are fused with a sense of history and a hint of humour. Crystal shards create kaleidoscopic patterns; rich plaids blend with jewel-encrusted weaves. Marcel Wander's Dutch heritage inspires Delft blue damasks with a twist. Go wild ! Jungle palms, tropical flowers and leopard prints...with glimpses of monkeys and cockatoos. Completing the mix are stunning scenic murals - modern and vintage - in subtle greens, terracotta, grey and sepia tints. Here's a blend of rustic and urban design. 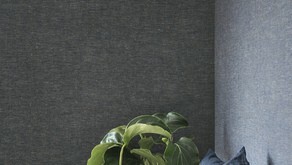 Concrete, wood and metallic finishes complement chunky textile effects in earthy browns, deepest forest greens and charcoal. Vintage, faded damasks in soft rose, warm white and faded blues add a touch of romance to this collection. An eclectic mix inspired by the travels of Nico Tijsen, Creative Director of Riviera Maison. Here you'll find a host of cosy, comfy rustic weaves, wood, wickerwork, bamboo, leafy prints, stripes and even subway tiles. In addition discover dramatic murals of jungle leaves, flowers and sketched illustrations. This range is oh so easy to incorporate into your scheme with warm neutrals, greys, soft teal and green, dusky pink and peach. 107 background textures all in one book. Concrete, wood, weaves and distressed surfaces alongside subtle prints and geometrics. Colours concentrate on neutrals: soft grey and warm beiges to dark coffee brown and deep navy - it's a functional and totally versatile! Our first and best selling range of prints created in collaboration with the Van Gogh museum in Amsterdam. Here are reproductions and re-engineered designs inspired by the original paintings by Van Gogh himself. If you like colour, you'll love these designs! Our latest range of Van Gogh inspired designs - capturing the artist's love of sun-drenched colour and nature at it's best. In amongst the almond blossom prints, japonais-inspired sprigs and painterly textures you'll find room height murals of some of his best known works.